We had a great weekend in Ft Lauderdale at the Florida Art Expo. We joined 80 or so other vendors (some inside, some outside) for this great arts & craft show. We served up lots of delicious BBQ and meet a lot of really nice people. 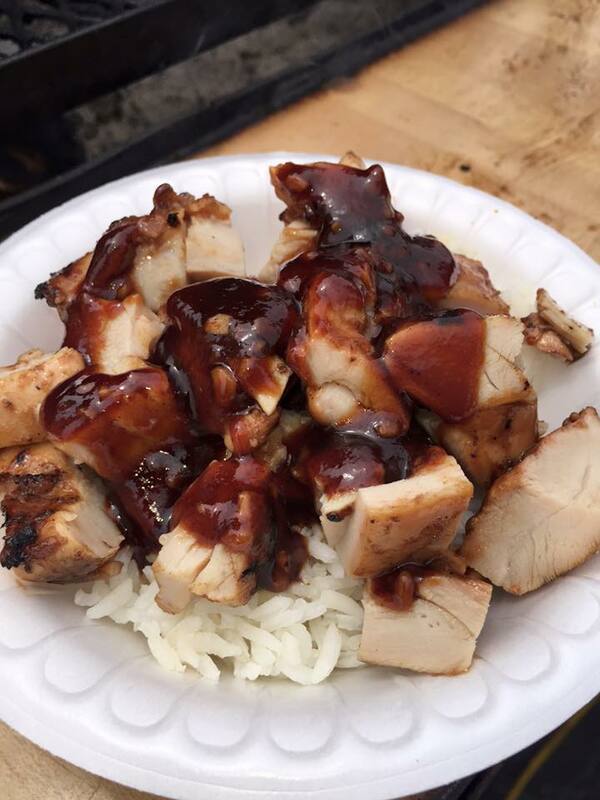 One of the top dishes served up this weekend was our new Luau Chicken Rice Bowl. These chicken thighs were marinated overnight in our Sesame Ginger Marinade & Glaze then grilled over an open fire with more glaze brushed on. Then we cut them up and put them over coconut rice and added a little more glaze on top. Yum is not even close to how good this was. Be sure to check back often to see all the new and exciting things Currie’s Smokin’ Hot BBQ is up to.